When shown an image of a satellite in its orbit, for example, some flat-Earth victims will quickly accuse it of being made with CGI. 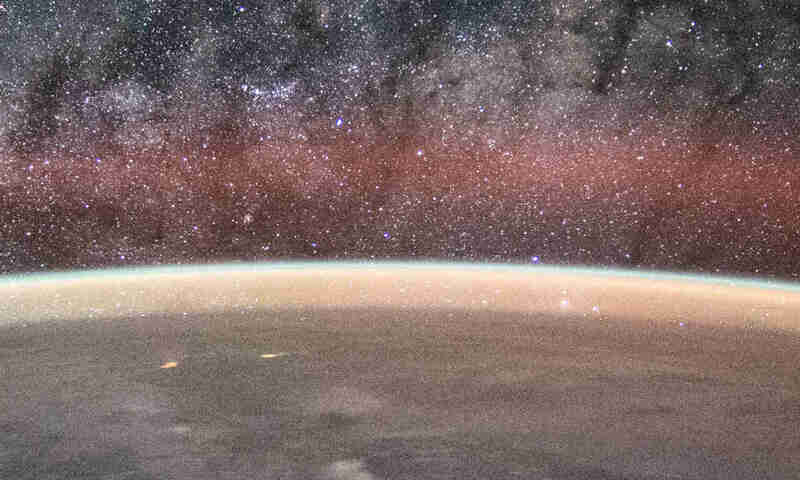 Usually it is actually true, as it is practically impossible to obtain a real satellite image in its orbit with acceptable quality for publication. But is it correct to assume it a proof that the satellite in the picture does not exist? Obviously not. We can observe the use of CGI in everyday image or video. But because victims of the flat-Earth ideology are thoroughly emotionally invested, their emotion dominates over their logic. And they are no longer able to make proper logical conclusions related to the shape of the Earth. On the other hand, flat-Earthers sometimes think that other people refuse the flat-Earth ideology simply because every flat-Earth pictures we’ve seen is made with CGI (if we can call those CGI). 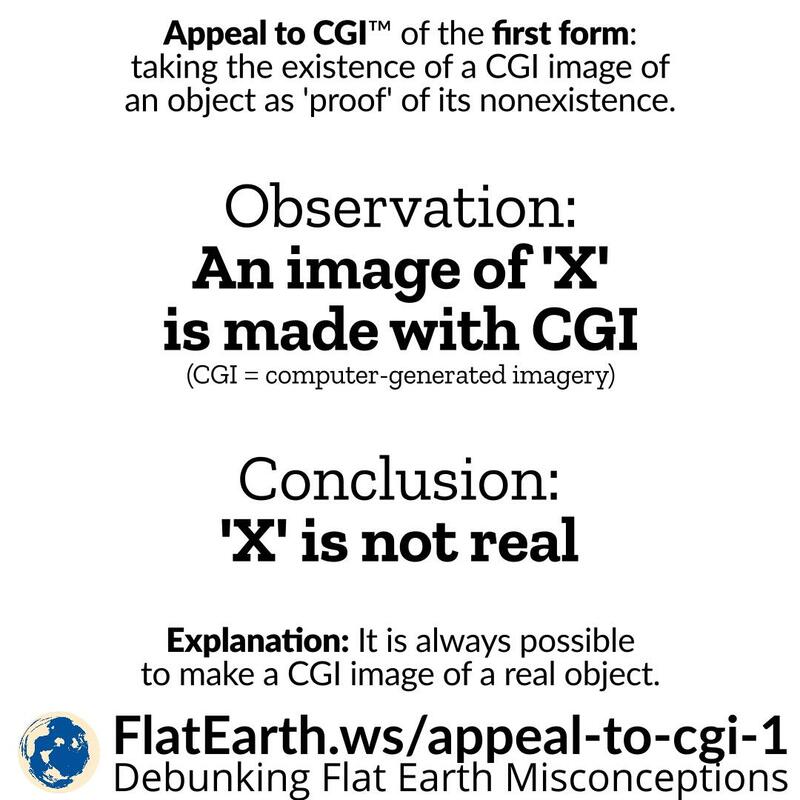 This is wrong because there are actually multiple proofs of the real shape of the Earth, and we don’t actually make that conclusion from the fact that all flat-Earth pictures are made with CGI. P → Q: If the object in a photo/video is not real, then the photo/video is made with CGI. ∴ P: The object in the photo/video is not real. The conclusion is invalid, because if Q is true, then P is not necessarily true.